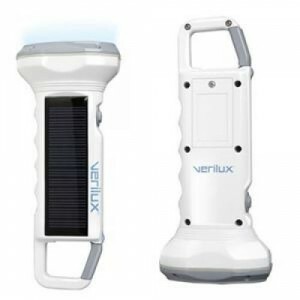 Here we are introducing five best solar flashlights for your picking up. All of them have tough solar system for saving energy. You just need to expose them to the sun for a while; it will be full of electricity. With so many advantages, they have attracted a lot of people. Don’t hesitate to have a look and make a good decision. Imagine a flashlight small enough to attach to your keychain, but with three powerful LED lights, and it never needs batteries. 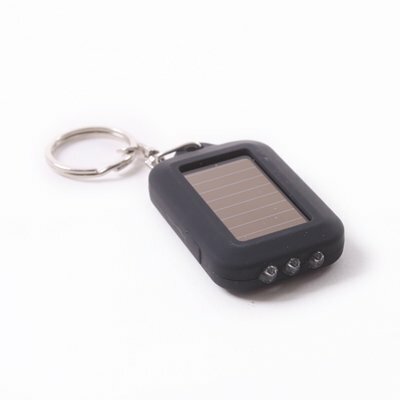 This is the solar flashlight Keychain. A small solar panel on the back of the flashlight coverts light to energy to power the bright LED lights. No cranking or shaking needed. Even ambient light is enough to keep this tough flashlight shining brightly. It is recharged from 12 Volt, dynamo crank, solar or wall plug. 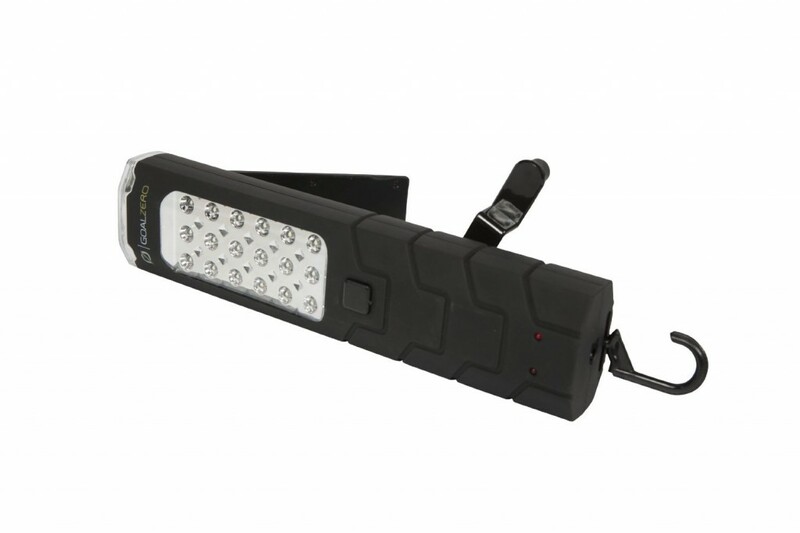 It features led technology in both floodlight and flashlight options. It can be prepared for any emergency with the option to use the hand crank generator to power the built-in rechargeable battery. Convenient hook means you can be hands-free. 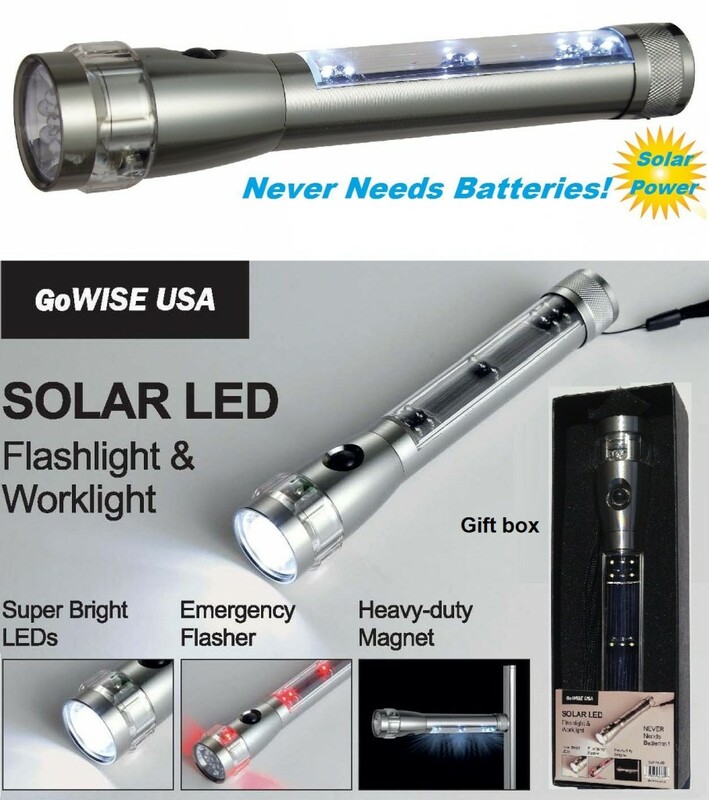 This GoWISE USA GW29000 LED flashlight is solar powered, meaning you do not need to replace the batteries at all. The batteries recharge by direct sunlight. Also, it has 3 modes including Lantern, Flashlight, and Warning light Mode. This flashlight is great for any kind of use. Plus, the product dimensions are 8*1.1*1.4 inches. The durable shock resistant solar panel never needs replacing and recharges the flashlight for up to 4 hours of bright natural spectrum daylight illumination. The six super-bright led bulbs provide a wide beam of light that is 2.5 times brighter than conventional flashlights. What’s more, the night glow strip around the lens allows you to find ready light even in total darkness. 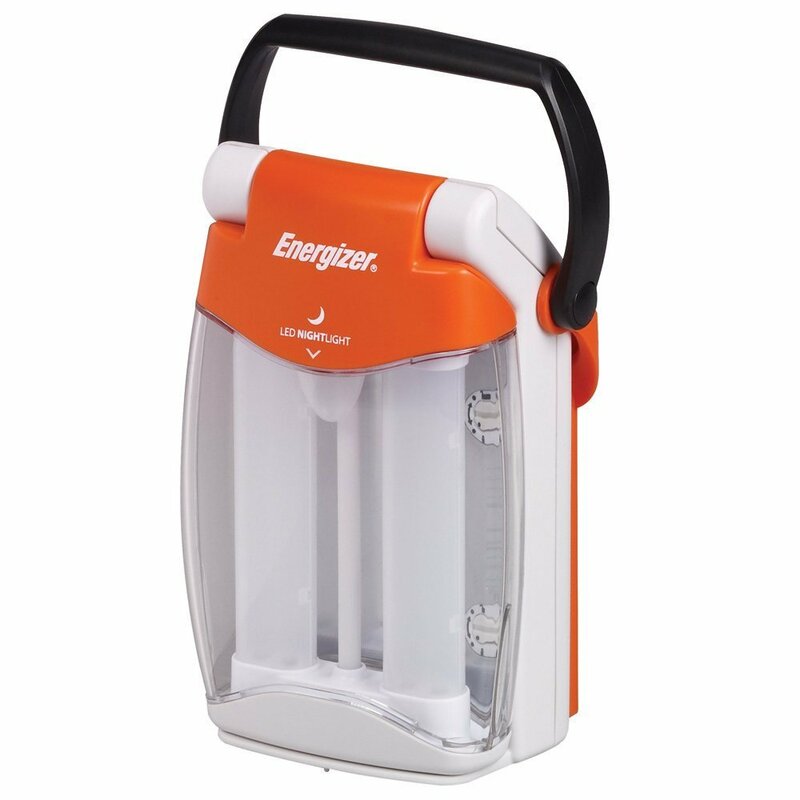 The Energizer solar 9-LED Lantern can be portable area light for a comforting amber night light when the power goes out. The nine LEDs in the lantern can be used in one of three modes: 360-degree bright-white area lantern, 180-degree bright-white area lantern or as an amber night light. Plus, the product dimensions are 11.5*8*3.8 inches and the item weights 1.7 pounds.